Guess what, another weird food trend has hit the market. 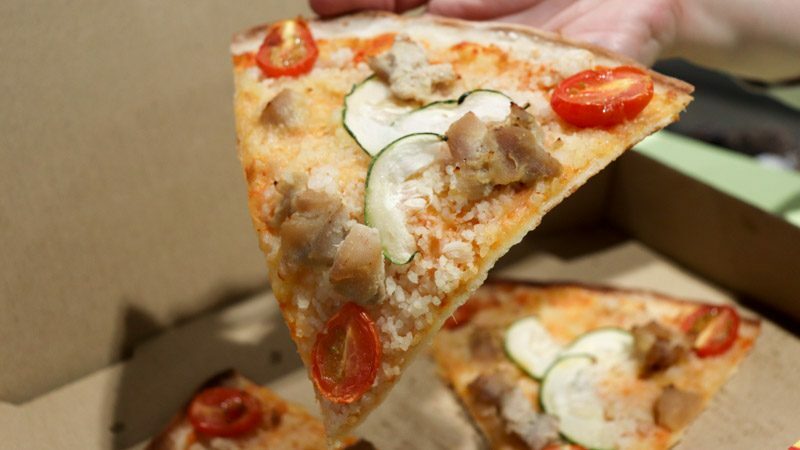 The Hainanese Chicken Rice Pizza at Pezzo is the latest member to join the gang of locally-inspired pizza flavours, with other contenders, such as Satay Sedap and Kebab Boom Boom. I had so many questions: Was there going to be rice on top? Will there be steamed and roasted chicken options? Would it come with the good ol’ chicken rice chilli? 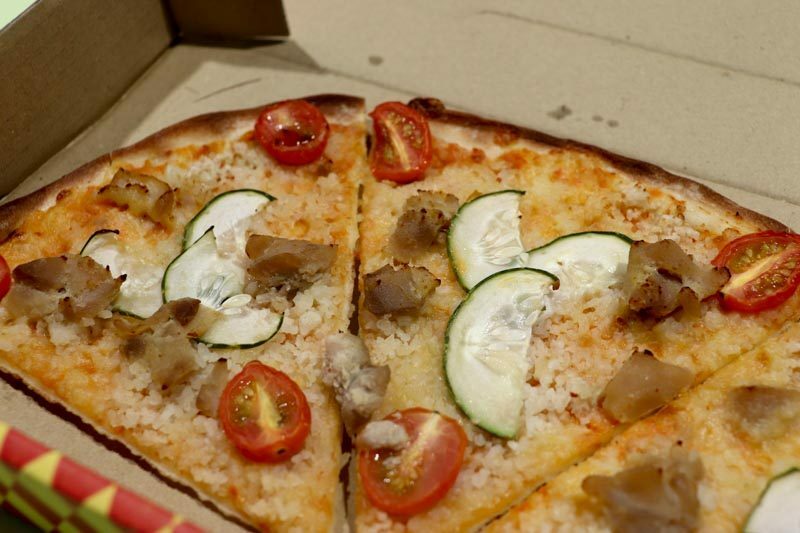 The Hainanese Chicken Rice Pizza (S$5.90) was topped with roasted chicken, cucumbers, cherry tomatoes, chicken rice and mozzarella cheese. I couldn’t help but feel triggered about the combination. Laying carb on carb, the chicken rice was smothered as the second base of the pizza, which made the combination extremely odd. The roasted chicken was tough and dry but I didn’t expect any less from the fast food. There were thin slices of cucumbers on it that looked rather dehydrated. It was nothing like the fresh, thin juicy slices that I could get off a standard plate of chicken rice. What was weirder was that the pizza staple, mozzarella cheese made its appearance on the local-flavoured pizza. I thought to have chicken rice on the Italian classic was odd enough, but now cheese to accompany it? I can safely say, I was thoroughly confused with what Pezzo’s intentions were. The thin-crust slice had about a 25 per cent resemblance towards the classic dish yet overall, did not faze me. Feeling adventurous? 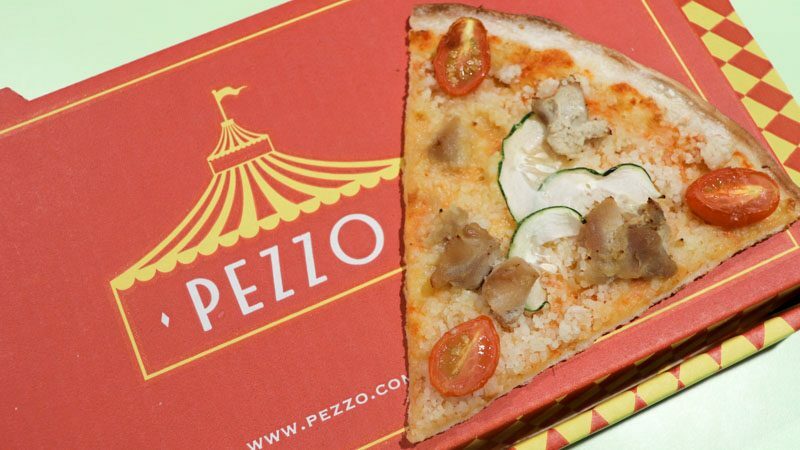 Grab a slice at any of the Pezzo outlets in Singapore. But at least for me, I think I’ve had enough of these contemptuous innovations. A plate of chicken rice at half its price would satiate me better.